Bear, a ten-year-old German Shepherd mix, found herself homeless and in an animal control facility when her owners could no longer take care of her. But life has a way of giving you what you need if you just trust in it and for Bear life was about to get much better. 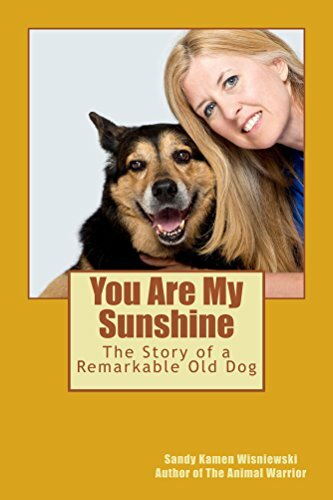 Join Animal Warrior, Sandy Kamen Wisniewski, as she tells the story of how one old dog came into her life and stole her heart. This is the true story of a love that blossoms between a humane society director and her senior foster dog. Sandy takes the reader on her journey from when she first meets Bear, to the life lessons she learned from Bear that helped her to grow stronger and wiser. This story may be short in length but it is long in the power of love between one old dog and one woman…come along for the ride, it’ll warm your heart. All proceeds for You Are My Sunshine goes to Animal Education and Rescue, a humane society for animals.